Money Reiki Energy is Priceless! 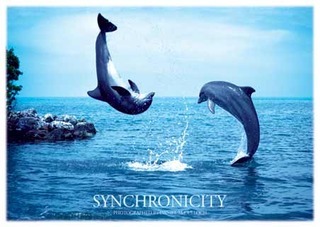 Many have experienced amazing jumps in their money flow and abundance following a Money Reiki Energy Healing! I am offering those who experience a positive money flow after receiving a Money Reiki Energy Healing the opportunity to make a "Heart-Chosen Donation" to support the offering of Money Reiki in a manner that benefits the whole. "I would have to say that things are beginning to change for the positive, I have a potential buyer for my business who is making up his mind over the next two weeks. That was my focus during the call. The sale will bring me money and freedom to actualy create more of both." "After the healing I won $150.00 on the mega millions lottery. I look forward to your continued enlightened help." 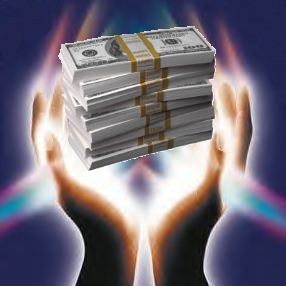 A PERSONAL JUST FOR YOU distance Money Reiki healing session to "boost" the Money Reiki Energy. It can be experienced to boost an initial Money Reiki Healing or as a stand along boost. This is a 10 minute individual Money Reiki Healing session. THE MEANING OF THE NUMBER 333 ~The ascended masters are near you, desiring you to know that you have their help, love, and companionship. Call upon the ascended masters often, especially when you see the number 3 patterns around you. Some of the more famous ascended masters include Jesus, Moses, Mary, Quan Yin, and Yogananda. "Thank you so much for the Money Reiki, it was a wonderful experience that evening. I could really feel the energy flowing during the time you were sending it. Then I was very relaxed and soon fell into a deep sleep. Over the following few days I felt a bit of a shift in my attitude towards money (which as we know is extremely important in the attraction factor) and while I did not see an immediate increase in cash flow, I did have a few calls that are presenting opportunities for the future for more work doing what I love and being paid for it. So, I believe that the Reiki has begun to clear out some old stale beliefs and blocked energy in important areas and that is indeed a blessing!!!! Thank you so much for the personalized Money Reiki session and for doing this important work in general!" A powerful 25 minute PERSONAL JUST FOR YOU Money Reiki Energy session. 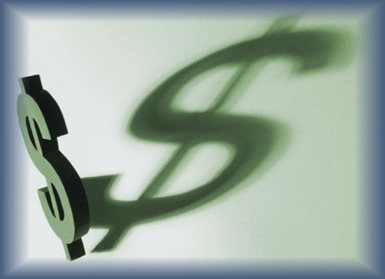 Produces powerful shifts in your relationship with money and results DO show up in your life! You will feel the energy and it is usually a quite pleasurable experience! A powerful PERSONAL JUST FOR YOU 25 minute Attraction Reiki Energy session. Produces powerful shifts in the areas of love and relationship in your life and results DO show up in your life! Attraction Reiki can also attract things you desire into your life and empower the Money Reiki Energy. You will feel the energy and it is usually a quite pleasurable experience! THE MEANING OF THE NUMBER 633 ~Your ascended masters are helping you manifest the material items you need for your Divine life purpose. Whether that means money for tuition, or outlets for you to conduct your teaching or healing work, the masters are working to bring it to you. They want you to know that you deserve to receive this help, as it will better enable you to give to others. I felt my heart racing, and I wanted to lie down, as usual when receiving an energy, and I did for a few minutes, but I had to sit up for I felt too much energy to lie down! So I sat up and felt very alert, and my head, which was foggy, cleared up, and even now feels very alert, and, like its after 11 p.m.,but I want to start a project or do something intense! I set my intentions to remove blocks after blocks around money, and I saw a golden sunset and gold coins dropping down from the heavens into my hands, and a feeling of optimism about attracting all the money that I want swept over me. First time the energy was golden yellow but this time was very peaceful and white/gold. After first healing I lost tension in my chest around money issues (my forth chakra was sealing sometimes and causing chest tension) and considering my current situation.. it has been a blessing for me. Things are changing, I'm very optimistic and can powerfully feel it. I already had people reacting to me and somebody offered me loan/sponsorship which I'm not sure yet I'll accept. "I felt it starting and tapering off. It was perfect!!!! It was very powerful, strong clear and transformational. I had visions, I had a few souls from my past lined up I had to ask for forgiveness from, I had messages, physical and emotional release, The plan for my financial future was revealed to me and I was given a specific dollar amount that I will achieve, etc. AND......In the morning when I woke up - first time I think in my life - my mind was at ease, I was present to peace, harmony and unity..... ALL IS WELL. Since then nothing and nobody seems to upset me or get me worried or concerned... all IS well in my life...... I know it, I am living it, I am experiencing it and I cherish it..... Thank you. May your goodness return to you a MILLION fold!!!" NOTE: Since the Money Reiki Healing, she has unexpectedly received $25,000! Plus her business is taking off like crazy! "I did feel quite warm (and it's freezing in Ireland at the moment), I got a pins and needles tingling sensation. But the most amazing thing for me was that I really haven't got any concerns about money. No money hasn't come rolling into my life (yet), but I just have a tranquility about it. I am at peace. It's like a huge heavy weight has been lifted from my mind and I feel light as a feather. It's kinda like I have a knowingness that I will always have more than enough. I know this may sound weird but I just feel deep serenity. Amy, no amount of money could ever give me this feeling. It is something that has been missing from my life for almost 6 years. All I can say is that I now bask in the light of inner peace." A powerful PERSONAL JUST FOR YOU 40 minute Money Reiki Energy session. Produces life changing and super charged shifts in your relationship with money and results DO show up in your life! You will feel a new peace and tremendous ease in your relationship to money. You will likely experience unexpected monies showing up in your life. The energy sent is strong! You will feel the energy and it is usually a quite pleasurable experience! 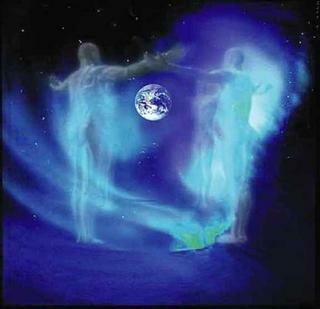 A powerful PERSONAL JUST FOR YOU 40 minute Attraction Reiki Energy session. Produces life changing and super charged shifts in the areas of love and relationships in your life and results DO show up in your life! You will feel a new peace and tremendous ease in the area of relationships. You will be supercharged to attract the soul-mate your heart desires. Existing relationships will be supercharged and a new dimension of peace and love will be experienced. Attraction Reiki can also be used to attract ideal business relationships as well as things you desire and can also super-charge the Energy of Money Reiki. The energy sent is strong! You will feel the energy and it is usually a quite pleasurable experience! thoughts and is manifesting them into form. These emails help to guide you through rough spots, energetic blocks showing up, negative money flow, old traumas resurfacing for healing and releasing and focuses on bringing you into alignment with peace and inner joy and flow in your life. It also helps to support you in the integration of the Money Reiki energy into existing relationships and empowering a positive money flow in your life. It can also look at gaining clarity around your life's purpose and how to bring it's expression into being. It can also complement the Life Force Energy Reading which supports you in identifying your life purpose if you have no idea what it is. You may purchase more than one email block at a time. A validation that your thoughts and work with the material world are right on the mark. You have successfully balanced your thoughts and activities so that you are taking care of the mind, body, and spirit. Keep up the great work! You may purchase more than one 2 email block at a time. THE MEANING OF THE NUMBER 777 ~ The angels applaud you—congratulations, you're on a roll! Keep up the good work and know that your wish is coming true. This is an extremely positive sign and means that you should also expect more miracles to occur. Your email brought tears to my eyes. I am amazed at your insights. You don’t even know me at all, and yet you have zeroed in right to the core of who I am. What you said about my purpose does ring true, and I have become discouraged because so far, I have not been able to support myself this way. I have doubted myself and the input I have received from Spirit. I know I am here to help and inspire others. I want to thank you for your email and for sharing your insights with me. I appreciate and admire you for reaching out and speaking what came to you. I know that Spirit has brought you to me. Obviously I do need help with some healing of concepts, and I am looking forward to receiving that through you. Be Attuned to the Energy and Symbols of Money Reiki. Be able to practice Money Reiki and send Money Reiki to yourself, your bank account, charge up a Money Magnet. Even send Money Reiki Healing energy to others. Visit http://Attunement.MoneyReikiHealing.com to learn more about Money Reiki Attunement.